Fresno attorney Yesenia Carrillo, who was raised in a family of small business owners, says that her skills and temperament would be a good fit for a Central Unified school board that has weathered considerable controversy in the past year. She sees a genial, cohesive board as a crucial ingredient to the district’s success. “I want to ensure that our board is working cordially not only amongst the board but with our superintendent and with our administrative staff to ensure that at the end of the day we are meeting the needs of our students and of our community,” Carrillo said. 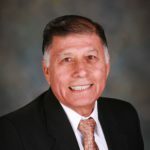 Carrillo is challenging one-term Area 2 incumbent Ruben Coronado, who joined the board of trustees as part of the “Four Horsemen” slate in 2014. Central Unified is on its third superintendent since that election: Mike Berg, who retired in 2015 after 10 years in administration with the district; Mark Sutton, who took over in August of 2015 and was fired in February of this year on a 4-3 board vote; and current Superintendent Andy Alvarado, who was hired this summer on a 5-2 board vote. Coronado declined multiple requests from GV Wire for an interview on his re-election campaign. Carrillo was born and raised in Visalia with her three sisters. 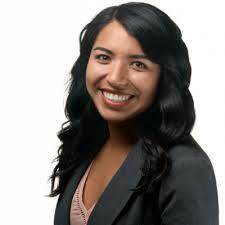 She graduated from Golden West High School in Visalia, Fresno State, and the University of San Diego School of Law. She is an attorney at Hatmaker Law Group in Fresno. Carrillo says her family taught her the importance of being able to keep up with growth and how to stay within a budget. She says those skills would make her a good fit as a board member. “I strongly believe my undergraduate education of an accounting major and having a strong finance background, as well as my legal education, also make me the best candidate for this position,” Carrillo said. Carrillo, who recently became a homeowner in Central Unified, said that now is the perfect opportunity to serve on the board and give back to her community. Carrillo has followed district issues for the past three years and says she has identified several areas that need improvement. One of those areas is ensuring that every student has access to the best public education possible. Another area of concern is staying within budget, Carrillo said. She said this is especially critical as the district plans on building a new high school and two new elementary schools. Carrillo said it is important for board members to be cautious of how they spend district money. “We need to ensure we are staying on budget so we can build the best facilities for our students,” Carrillo said. Read about Jason Paul’s challenge of incumbent Cesar Granda in Area 1 at this link. Read about Shawn Brooks’s challenge of incumbent Richard Atkins in Area 4 at this link. Read about Naindeep Singh Chann’s challenge of incumbent Rama Dawar in Area 7 at this link.